You can probably imagine what a relief it is, when you have no idea what to do for dinner, just nipping in to Bilder & de Clrq and there is a selection of meals all laid out for you, all pre-packaged in portions for two. On this particular day, I fell for the Duck. As I am want to do. Preheat the oven to 180C. Bring two pots of water to the boil. Cut the broccoli into florets. Place the spelt in one of the pans of water and cook gently for 15 mins. Add salt to the other pot and boil the broccoli for 1 minute. Scoop the broccoli out of the pan and plunge into cold water (this will ensure the bright green colour is kept). Drain the spelt and set aside. Heat a frying pan over a medium-low heat. Score the fat of the duck diagonally. Be careful to ensure you don’t cut through the meat. Season with salt and pepper. Fry the duck breast in a dry frying pan, skin side down, until golden brown and crispy, about 5 minutes. Turn the duck breast and fry for a further 1 minute on the meat side. Remove from the pan and place in a roasting dish. Pour the fat off from the frying pan and add the Worcestershire sauce and add 2 tablespoons of olive oil to the pan and turn off the heat. This is the sauce to serve with the duck. Place the duck in the over and roast for 8 minutes until pink in the centre. Set aside and allow to rest. Finely chop the garlic and chilli. Heat a frying pan with 2 tablespoons of olive oil and fry the garlic and chilli quickly (don’t allow it to brown or else it will taste bitter). Add the drained broccoli and spelt. Frying until the ingredients are heated through. Season with salt and pepper. 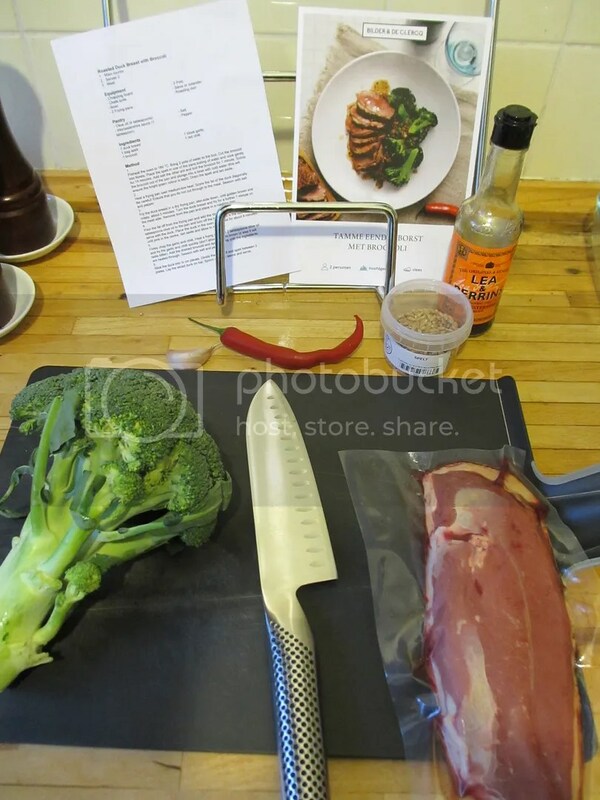 Slice the duck into ½ centimetre pieces. 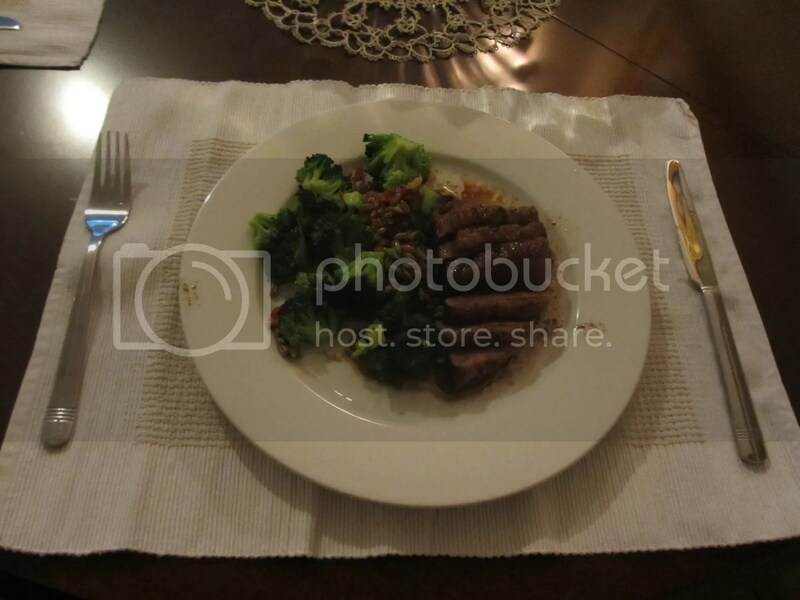 Divide the broccoli and spelt between two plates. Lay the sliced duck on top. Spoon over the sauce and serve! This is a delicious and easy recipe which we’ve had a couple of times. It just feels like it uses every darn pot in the kitchen! Yeah, by the time you boil things and then boil other things, then fry, and then bake … but the result is so tasty that we have made it again and again!